Home / Book Beat • Book Reviews • The Lovely Erica / Book Beat on two Star Wars books & two Mulan-inspired books and more! This Book Beat includes a pair of pairs. I review a couple of Star Wars books which give more background on Rogue One’s most intriguing characters. I also have quick takes on two books pitched as “Mulan meets X” and we still have Renee Ahdieh’s wonderful Mulan-inspired Flame in the Mist on the way! (Who knew Mulan was such a big theme for May 2017?) 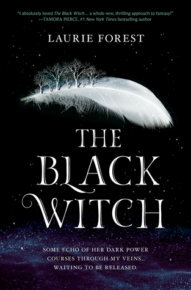 There are also quick takes on several contemporary books and the controversial The Black Witch. Yep, May is a big book month! Story: “It’s the start of Jordan Sun’s junior year at the Kensington-Blaine Boarding School for the Performing Arts. Unfortunately, she’s an Alto 2, which—in the musical theatre world—is sort of like being a vulture in the wild: She has a spot in the ecosystem, but nobody’s falling over themselves to express their appreciation. So it’s no surprise when she gets shut out of the fall musical for the third year straight. 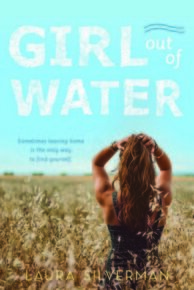 Quick take: Fun story of a girl determined to find her place no matter what. Lots of laughs, lots of music and Jordan’s disguise brings up all sorts of interesting sexual tension. 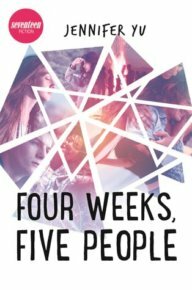 There are some plot points that I didn’t love, but its an amusing read. Story: “An obstinate girl who will not be married. Quick take: This is the start of a huge epic tale with many kingdoms, a long history of war and unique customs. Nora is Mulan-esque as a smart girl who’s unique skills help aid an army under threat of invasion. There’s also a big romance with lots of chemistry between Nora and Ash. There are some gaps in the story so I hope we’ll get more on those in the next installment in the series. Story: “When Jyn Erso was five years old, her mother was murdered and her father taken from her to serve the Empire. But despite the loss of her parents she is not completely alone—Saw Gerrera, a man willing to go to any extremes necessary in order to resist Imperial tyranny, takes her in as his own, and gives her not only a home but all the abilities and resources she needs to become a rebel herself. Quick take: I loved Rogue One and Jyn Erso was such a great, but mysterious character. This book covers the years between Saw finning Jyn in the cave to her rescue at the beginning of Rogue One. This answers a lot of questions about how Jyn earned all her skills and why she and Saw parted ways. 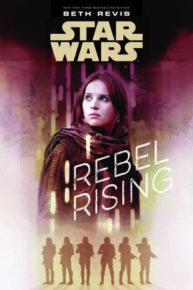 The best part of this book is Jyn’s life in between her split with Saw the the start of Rogue One where, at last, she gets perspective on the Empire/Rebellion conflict and lives a more “normal” life. Quick take: Baze and Chirrut were some of my most intriguing Rogue One characters. They feel the Force, but aren’t Jedi. They belong to a religious sect, but are seasoned warriors. Chirrut is blind but aware of everything. What’s their deal? 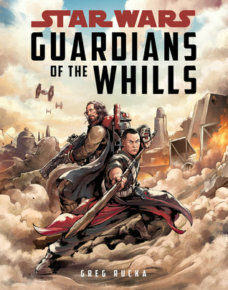 Star Wars: Guardians of the Whills provides answers about this pair and the life on their planet during the Empire’s occupation. Bonus: the book is beautifully designed with a handful of illustrations and quotes before each chapter. Story: “Anise Sawyer plans to spend every minute of summer with her friends: surfing, chowing down on fish tacos drizzled with wasabi balsamic vinegar, and throwing bonfires that blaze until dawn. 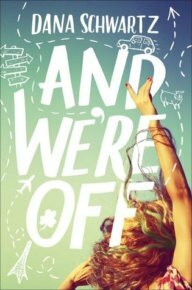 But when a serious car wreck leaves her aunt, a single mother of three, with two broken legs, it forces Anise to say goodbye for the first time to Santa Cruz, the waves, her friends, and even a kindling romance, and fly with her dad to Nebraska for the entire summer. Living in Nebraska isn’t easy. Anise spends her days caring for her three younger cousins in the childhood home of her runaway mom, a wild figure who’s been flickering in and out of her life since birth, appearing for weeks at a time and then disappearing again for months, or even years, without a word. Quick take: A satisfying coming of age story even though L found it a bit predictable. 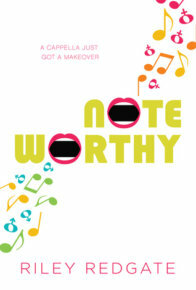 The real strength of this book is Anise’s voice which is very real, flowing and honest. Story: “Seventeen-year-old Nora Holmes is an artist, a painter from the moment she could hold a brush. She inherited the skill from her grandfather, Robert, who’s always nurtured Nora’s talent and encouraged her to follow her passion. Still, Nora is shocked and elated when Robert offers her a gift: an all-expenses-paid summer trip to Europe to immerse herself in the craft and to study history’s most famous artists. The only catch? Nora has to create an original piece of artwork at every stop and send it back to her grandfather. It’s a no-brainer: Nora is in! Quick take: And We’re Off is a quick and fun adventure. There are some terrific descriptions of so many places that you’ll think your passport will have some additional stamps. I have a pet peeve about really bratty teen characters and Nora gets close to the line. It’s a solid read, but I wish the rush ending packed a bit more punch. Quick take: It’s great that the characters have a variety of conditions and there are chapters from many points of view. Unfortunately the premise and the plot fell flat for me. Story: “A new Black Witch will rise…her powers vast beyond imagining. Quick take: There’s been a lot of chatter about this book which distressed readers by its content and language. 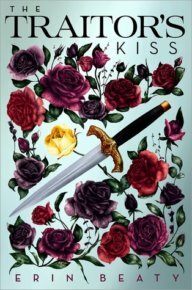 Elloran grows up privileged and sheltered in a fascist society so there are a lot of ugly and hurtful statements in the beginning of the book. Elloran is in for a big awakening when she heads off to magic university where she meets all the peoples she taught were evil. It takes a while, but she begins to understand that her upbringing was wrong and she begins to change. The book is a redemption story, but the structure makes it difficult for marginalized and/or sensitive readers with over 300 pages of comments and actions that could be triggers for racism, sexism, racial purity, elitism, homophobia and more. This difficult material is not a great match for YA/sensitive readers who may not be critically reading and putting the hateful comments in the context. This isn’t for everyone. There was so much potential for an epic fantasy here (I did like parts of the book and some of the world building), but the fumble on the execution clearly makes this book difficult for many readers. 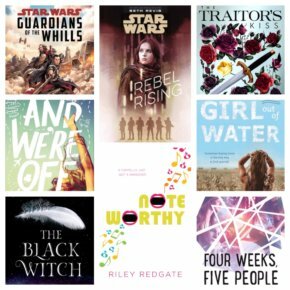 Thanks to Amulet (Noteworthy), Imprint (Traitor’s Kiss), Disney (Star Wars: Rebel Rising, Star Wars: Guardians of the Whills) Sourcebooks (Girl Out of Water) Penguin Teen (And We’re Off), Seventeen (Four weeks, Five People) and Harlequin Teen (The Black Witch) for providing the books for review. Want more details on my impression of these and other books? Check out my ratings and full reviews at Goodreads. 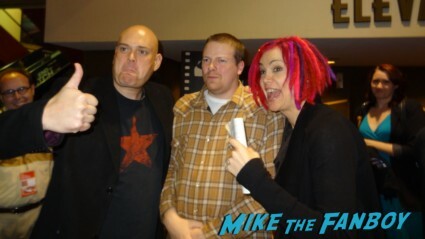 Erica Swallows The Red Pill And Is Able To Meet The Legendary… The Amazing… Lana and Andy Wachowski! Bound! The Matrix! Cloud Atlas! Autographs! Photos! Director Goodness! TV Heartbeat! Super Bowl Sunday! 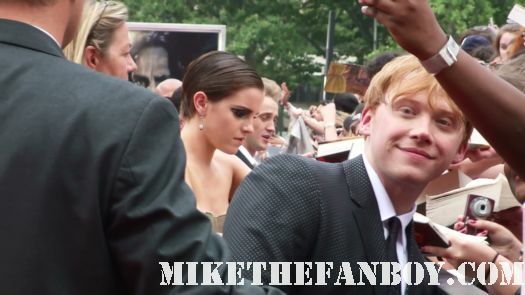 New stuff from Alan Rickman and Michael Jackson! TV Heartbeat! Game of Thrones finale! David Tennant and Misha Collins! 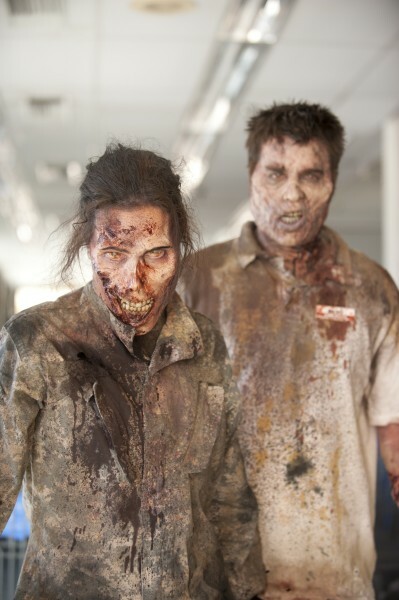 Sound Off on Walking Dead season 4!